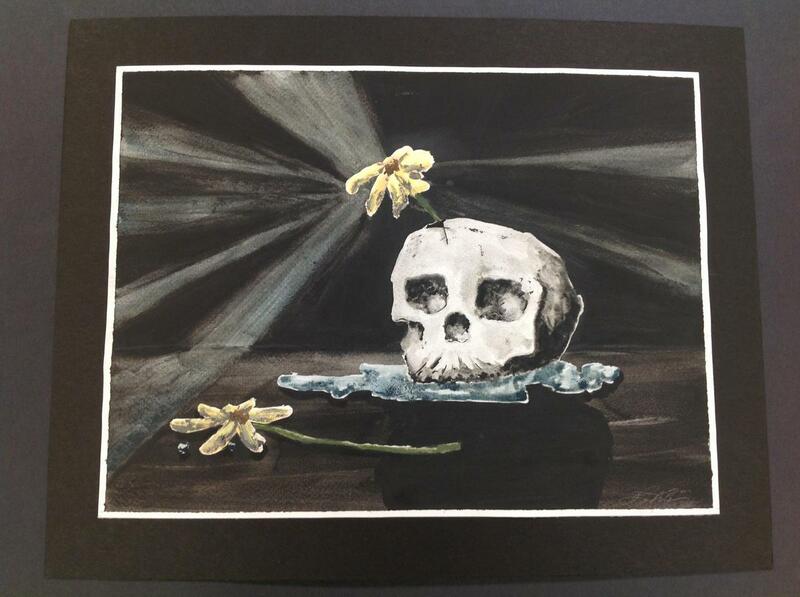 In this painting, there is a skull in a pool of acid. 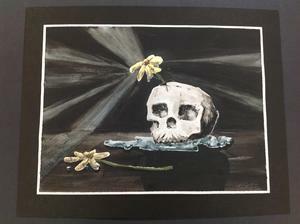 Two flowers are seen, one on the ground, dead and burned, and the other planted in the skull, still alive. The flower is slowly dying and the light it gives off slowly dims. Abortion is the death of a new start. The flower represents a new life and the joy it brings with it. The flowers are dying from the acid that has been thrown onto them. While abortion may seem like the best option for some people, babies are a gift from God that can change the outlook on life. From what I've heard, it's a magical event and it brings meaning to some people lives. Birth is beautiful and to have an abortion is to kill a beautiful light.